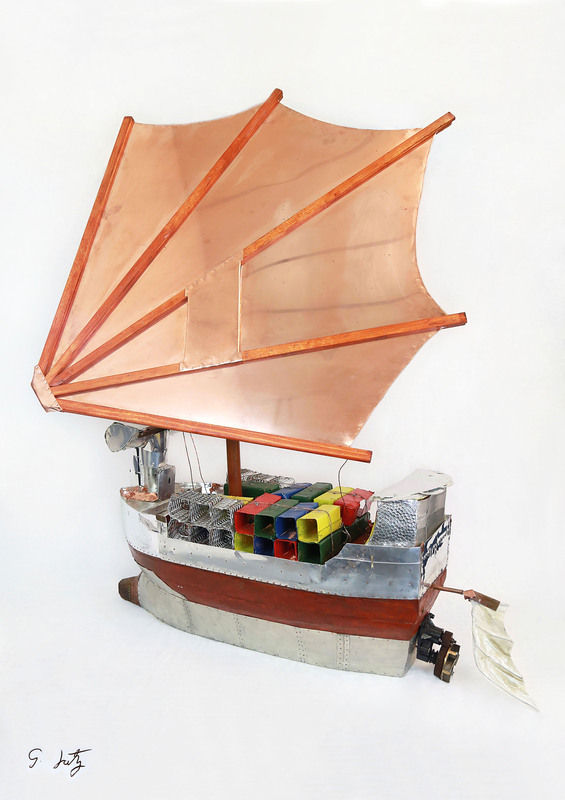 Inspired by a Chinese super-junk ship. Depicts trade between East and West and reflects both ancient and modern technologies. 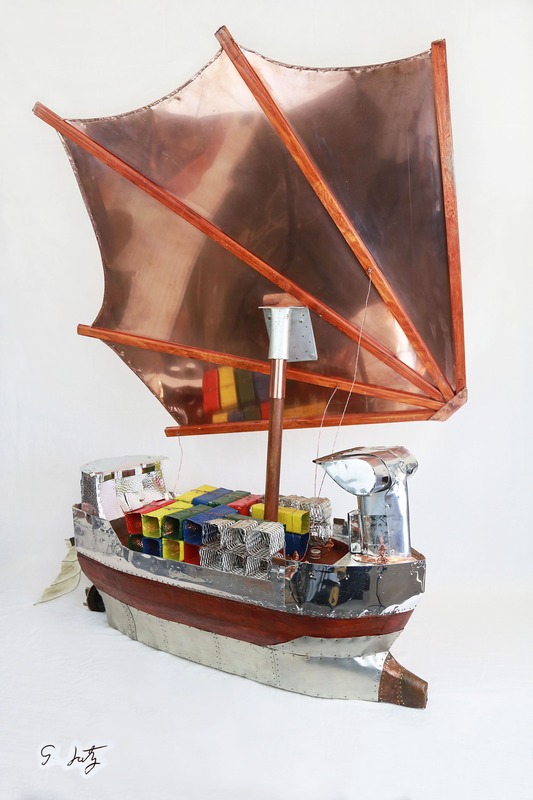 A wood base plated in metal alloys, copper sail, metal containers, tiny stained glass windows. Contains battery-powered LED lights.